In just one month, summer classes in Wexford University’s online doctoral degree program in Applied Sport Psychology begin. 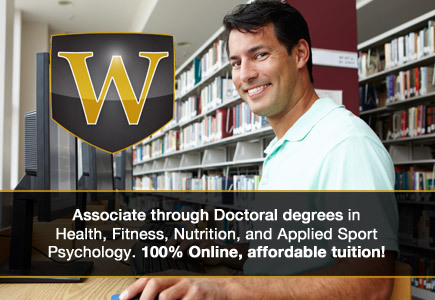 Students can register and learn more at http://wexford.edu/degree-programs/doctoral-degree-in-applied-sport-psychology/. Sport psychology is a rapidly expanding field that offers a wide range of career opportunities. Summer: The perfect time for the beach, outdoor fun and online education. Making sure students can enjoy all of their favorite summertime activities, Wexford University’s online doctorate degree in Sport Psychology offers convenient and flexible scheduling. The summer session begins June 24, and students can learn more and register online at http://wexford.edu/degree-programs/doctoral-degree-in-applied-sport-psychology/. A doctorate degree in Sport Psychology is ideal for a growing number of sports psychology career fields, including nonprofits and schools, sports performance clinics, corporations and more. The role of mental training in performance is more recognized than ever, making Sport Psychology a great degree for anyone interested in the overlap between athletic training and mental training. Further, Wexford University’s online doctoral degree in Sport Psychology is an extension of the university’s online master’s degree in the same field, allowing for further career study and career opportunities in the field. To complete the program, students will submit a traditional dissertation, a publishable book or a manual or workbook on a specific topic within the field. In addition to providing a top-notch classroom education, Wexford University’s unique Sport Psychology program also focuses on the business aspect of the degree program, helping students understand the fundamentals of building and running a successful business practice in the field. Wexford University is dedicated to providing world-class education through cutting-edge technology, offering direct application degree programs in an accelerated format with 100 percent online learning to save time and money. Programs include an associate of arts degree in Fitness Training, bachelor’s degree in Health and Fitness, master’s degree in Nutrition and Exercise as well as master’s degree and doctorate degree in Sport Psychology. Wexford University is the higher education division of NESTA (National Exercise & Sports Trainers Association). For more information, please visit http://wexford.edu/.